What a Great Turn Out! 2009-Congratulations! To all who joined us in person and in spirit on the corner of 12th and Commercial in Anacortes for our 2nd Tax Day Tea Party. As a precursor we were both surprised and blessed with favorable articles and interviews from the local news media, to whom we extend our thanks. On a day with predicted showers we were blessed with sunshine and a few sprinkles and much enthusiasm. On a day for the working class we had we had a large turnout of folks who either took the day off or found time during lunches or breaks to add their physical presence and support. 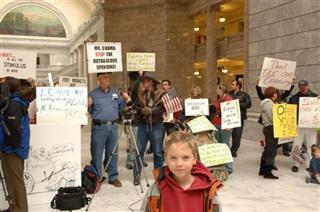 The complexion of the “Tea Partiers” ranged in age from five to ninety. Attending were doctors, lawyers, teachers, republicans, democrats, liberals, independents, union-members, workers and unemployed, a cross section of Americans with one concern, “Where in the hell is our Country headed.” We were joined by political candidates Mike Newman, John Swapp and Dusty Gulleson, each with “Tea Party” values who took time share their views and platform with the crowd. We were visited by reporters and photographers who documented OUR event. We did not keep a running count of visitors but at any given time there were anywhere from 80 to 150 in attendance. By our best-guesstimation we feel the days total attendance to be somewhere in the vicinity of five hundred plus. So once again, THANK YOU for joining us and THANK YOU for making a difference. Friday September,11th at 8:46 AM marks the ninth anniversary of the worst attack and concurrent loss of life ever to take place on U.S. soil. Please join our "Vigil of Remembrance" on Friday the 11th, 8:00 AM to 1:00 PM on the corner of 12th Street and Commercial Avenue in Anacortes. First, a special THANKS to you all, for your great efforts to preserve our freedoms and rights. Next, I ask that you please forward this to your list, perhaps some folks live too far to travel to your events and would possibly be able to attend our Glenn Beck 9-12 Project & Government Health Care Takeover Protest in Anacortes on September 12th. 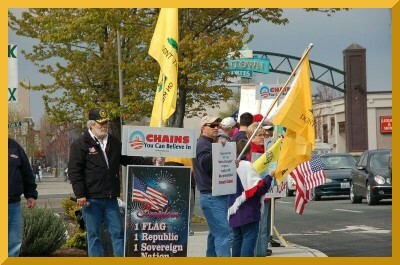 Tea Party Patriots on the march Nationwide September 12th! 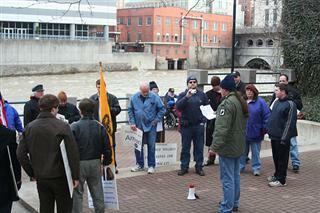 Our Anacortes Tea Party Tax Protests have been extremely successful (Thanks to all of YOU!) with over 800 citizens attending our Anacortes rallys. This is your Call to Action! This is the ONE email you should forward to your lists. Saturday, September 12th, we are joining with the Glenn Beck's 9-12 Project. This movement is sweeping the Nation. 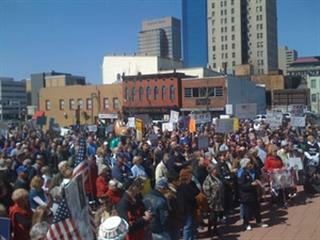 Also The TEA PARTY EXPRESS Bus will be in Washington DC September 12th with the largest group of citizens ever expected! WE ARE THE SILENT MAJORITY NO MORE! We will show these politicians we are everywhere, in every community and that we are organized and on the move. The peasants are revolting! 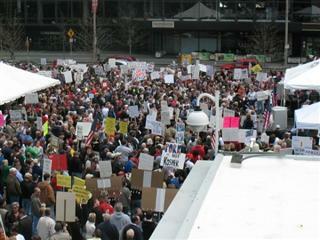 Again concerned Americans are gathering in cities & towns across our Nation to have our voices heard. 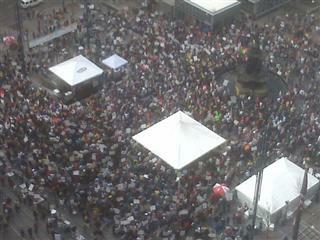 Citizens are demanding their voices be heard. AND...WE WILL BE HEARD! We will again be turning out in force to voice our opposition to government takeover of our health care system and to declare our Independence from tax and spend politicians who are trading our individual liberties and sovereignty for political gain. BRING A FLAG! BRING A SIGN! BRING ALL YOUR FRIENDS & FAMILY! YOU CAN MAKE A DIFFERENCE! Rain or Shine, bring your sign! We will have some extra signs available. 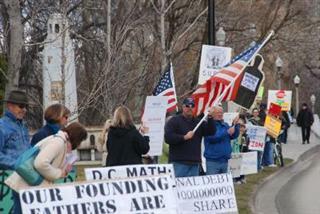 Our Anacortes Tax Day Tea Party Protest was so successful (Thanks to all of YOU!) drawing over 1.8 million angry taxpayers nation wide. We have decided to join with the National movement, "The July 4th Independence Day Protest"! 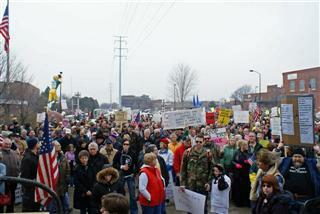 Again concerned Americans are gathering in cities & towns across our Nation to have our voices heard. AND...WE WILL BE HEARD! This is your Call to Action! WE ARE THE SILENT MAJORITY NO MORE! We will show these politicians we are everywhere, in every community and that we are organized and on the move. On the 4th of July, from Noon to 2 pm, after the parade, we will gather on the Corner of 12th & Commercial Avenue in Anacortes. We will again be turning out in force to declare our Independence from tax and spend politicians who are trading our individual liberties and sovereignty for political gain. BRING A FLAG! BRING ALL YOUR FRIENDS & FAMILY! YOU CAN MAKE A DIFFERENCE! **We will have some extra signs available. p.s. 4th of July Parade activities: BE PROUD OUT LOUD!!! We are also inviting you to join with the "American Pride & Support the Troops" group marching in the Anacortes 4th of July parade. Gather at 10:30am near the corner or O Avenue and 3rd Street on the 4th of July. We have a very large group meeting with positive signs like "Proud to be an American" and "Thanks U.S. Military" with lots of American Flags. We will be marching with Bill Wooding's group of ten vintage military vehicles including armored troop carriers, tanks and jeeps. 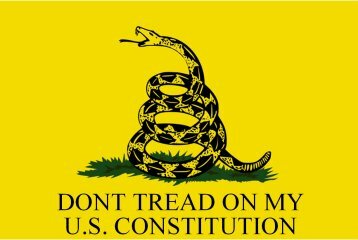 Although we are avid supporters of the Tea Party Protest, we respectfully submit the 4th of July Parade is not a suitable platform for negativity. 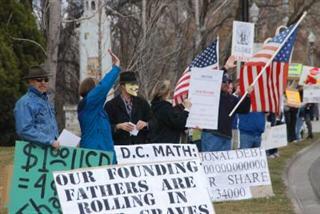 We feel signs like "We the People" and "Read the Constitution" would be very appropriate, respected and well received. We will have just a few extra signs available if you are not able to make one. YOU CAN MAKE A DIFFERENCE! THANK YOU for being a Patriot! Please note this schedule on your calendar at home. Try to make as many dates as you can. Any and all time is well spent and will help make us a stronger nation. Bring a sign or bring a flag. If you don't have one, we have some available..., and don't forget to bring a friend! 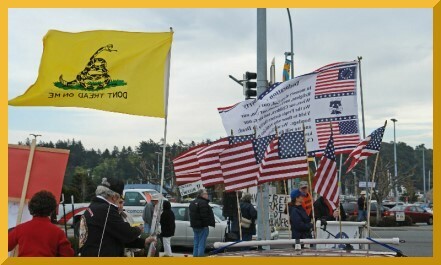 American Issues Project: "Every Single Day"
Close to 600 people showed up at one time or another for the six-hour Anacortes Tea Party Protest at the corner of Commercial Avenue and 12th Street on April 15. “It was very well-attended; much more than we ever expected,” said Mary Stevens, who helped organize the event with her husband Andy Stevens. The protest was part of the National TEA (Taxed Enough Already) Party that occurred in cities throughout the country on Tax Day, the deadline for filing federal income tax returns. 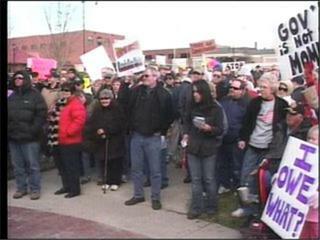 By the end of the local protest, 587 people had signed rosters being passed around during the protest. Mary figures there were about 50 more who showed up but didn’t sign up. People cycled throughout the day, she said, coming and going and leaving their signs behind for others to use. While Andy Stevens said one beef he had with the government was over concessions to the United Nations and foreign powers, Mary complained that many legislators voted for the stimulus bill without reading it and with most citizens against it. 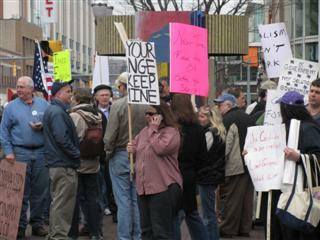 Besides the good turnout, Mary Stevens said the group was getting an overwhelming response from passers-by. Many honked, waved and gave the protesters the thumbs up. “This is an absolutely nonpartisan effort to get our representatives to represent us,” Mary said. 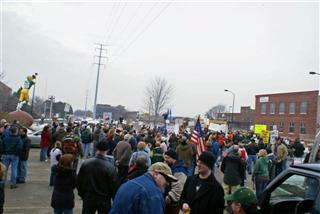 The Stevenses also organize the “Patriots Corner” demonstrations each Sunday on the northwest corner of the intersection. For more on the Stevens’ organization, go to http://www.go-patriots.com. MOUNT VERNON — The letters T-E-A stood for more than just a leaf-infused beverage to the crowds of people standing on all four corners at Riverside Drive and College Way on Wednesday afternoon. 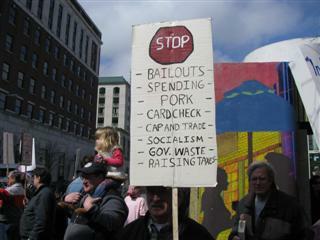 The letters also became a handy acronym for the crowd’s sentiment: Taxed Enough Already. A crowd Skagit residents stood at the intersection from 12 p.m. to 7 p.m. Wednesday, protesting big government, stimulus spending and corporate bailouts. 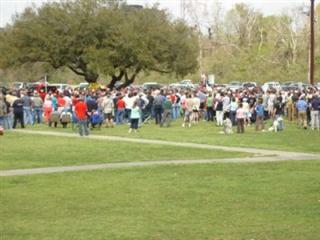 It was just one of many events organized across the country to coincide with Tax Day. Participants strung tea bags onto their hats and painted pictures of teacups on picket signs, echoing a December day in 1773 when colonists threw tea into Boston Harbor. Swapp, like many others holding signs to a stream of honking cars, said the government no longer acknowledges his viewpoint. Skagit Democrats largely ignored the protests. Jack de Yonge, a Democratic activist from Concrete, dismissed the tea protesters he said were from a “reactionary wing” of the Republican Party. Glenn Bordner, former chair of the Skagit County Democrats, said that while the protesters may be reacting to major Republican losses in the last election, their anger may be misdirected. 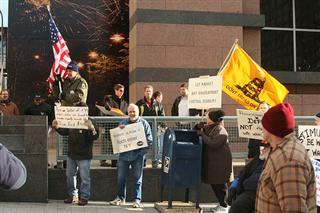 Bordner said the protests were largely promoted by Fox News and Rush Limbaugh, and not a grassroots movement. But to Laura Burt-Thorpe, the organizer for the Mount Vernon demonstration, the protest was a long time coming and fueled by a grassroots core of people fed up with big government. 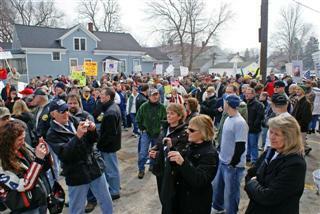 Burt-Thorpe said she was overwhelmed by the response to her local event. She came dressed as Betsy Ross, wearing a colonial-style dress with a white bonnet and carried red, white and blue fabric draped over her arm. 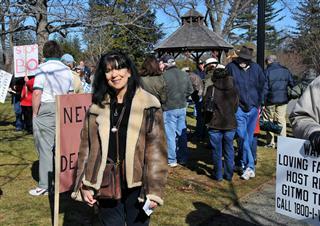 Burt-Thorpe organized the event in Mount Vernon after attending a Seattle protest last month. She said many people would turn out for events if they didn’t have to drive to a major city. And if College Way around lunchtime on Wednesday was any indication, she was right. 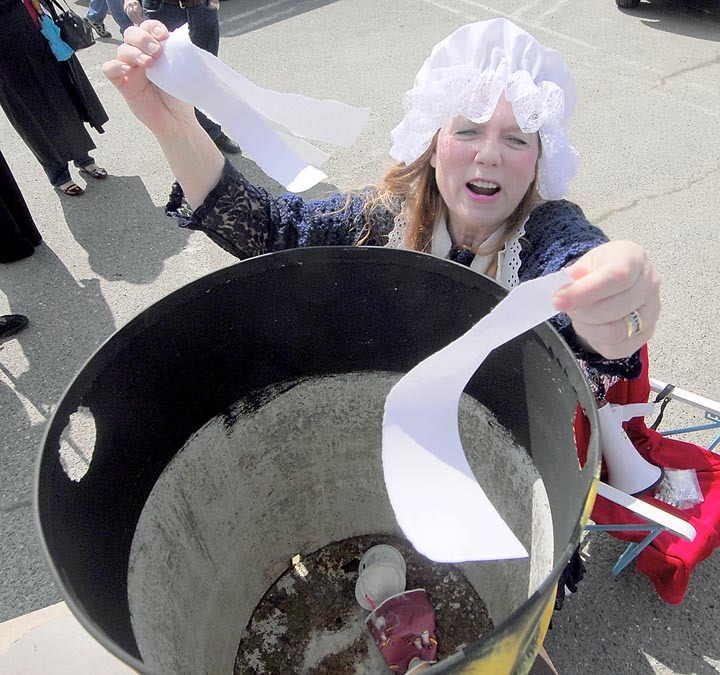 In addition to encouraging people to stand on the corner with signs, she brought a large black barrel painted with flames for people to “burn” mock stimulus bills. Burt-Thorpe wrote “Stimulus” on a sheet of paper and tore it into pieces as she threw it in the barrel. Burt-Thorpe also took names and contact information for those who attended, saying that this would be the first of many events for the new generation of tea protesters. Representative Norma Smith, 10th Legislative District: Support of our Tea Party! This is the first, and only I might add, letter from an elected public official sent, unsolicited, to our group in recognition and support of the Tax Day Tea Party. Norma Smith will continue to receive my vote and support. Kudos to Ms. Smith. I understand that on April 15th, you and others will be advocating for “no new taxes” from your government. I enthusiastically support your efforts, especially in this difficult economy, where real people are struggling and need relief. Habitual overspending by leadership in Washington state paired with our national economic situation has us facing what is now projected to be an almost 9 billion dollar budget deficit. We must prioritize the way we use our valuable taxpayer dollars, and minimize the impact we have on essential services. Our focus must be on leaving earnings in the hands of our families, businesses and individuals. More taxes will only discourage growth in the private sector, and hurt those already struggling right now. Thank you for your involvement in the process and for letting your voice be heard on such a critical issue for our families and communities. Please keep in touch. I listened to the cuts on this album and they are excellent. I immediately went Online and purchased the album. I'll be playing it at our Tea Party and at our weekly "Support Our Troops" vigil, something we've been doing every Sunday for over 400 consecutive weeks. This is a great album with a great message and should be a consideration for any of your Patriotic Events, or just easy listening. Will 'TAKE AMERICA BACK' Get Him Blacklisted Again? "I still get chills when I hear the original timeless version of the song. But Vaus' reworked rendition speaks to the hearts and souls of Americans who are genuinely suffering today because their country, and everything good about it, is being taken away from them. This is truly a song for our times." 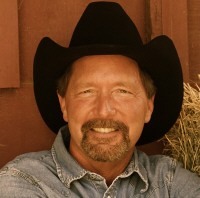 STEVE VAUS, whose anthem "WE MUST TAKE AMERICA BACK" got him blacklisted by the recording industry 17 years ago, has re-recorded the song with updated lyrics for 2009 -- and, this time, he believes, nothing can silence his haunting and inspirational track. In 1992, Vaus signed a recording contract with RCA. 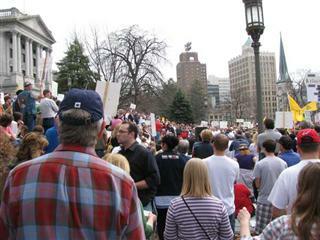 The resulting CD was called "WE MUST TAKE AMERICA BACK," and the song struck a chord with listeners. The track rocketed onto the BILLBOARD TOP 100 CHART. It was the most requested song at many radio stations coast-to-coast. Vaus' star was rising. He was immediately put out on a nationwide tour. But, complaints from a handful of big-city radio stations about the conservative, patriotic nature of the song, prompted RCA, inexplicably and inconceivably, to pull the CD off the radio and out of stores. Vaus' tour was cancelled, days after it began. In fact, the week Vaus was dropped, the song was still climbing the charts. It was number 56 still with a bullet. RCA received thousands of phone calls from outraged listeners but they refused to reconsider and subsequently prohibited Vaus from re-recording or re-releasing the song for five years. "Being gagged like that, I was devastated. Particularly because in the same timeframe the ACLU made headlines defending the rights of other recording artists to sing about killing cops and violent sexual acts. But they had no interest in defending my right to sing about God and country," said Vaus. "But now, with updated lyrics, that reflect my frustration and anger with where America is headed, the song is more relevant than ever. 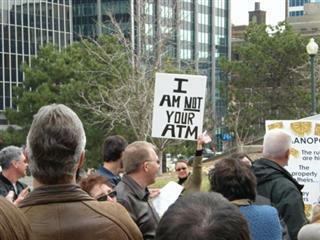 It is a rallying cry. And in this age of instant internet downloads and podcasts there's no record company or radio station that can block it." 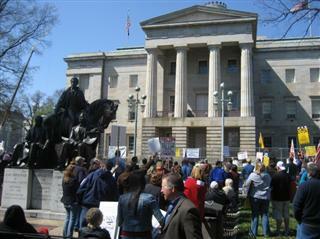 Pictures and videos from past tea parties and rallies! Make a sign or flag! 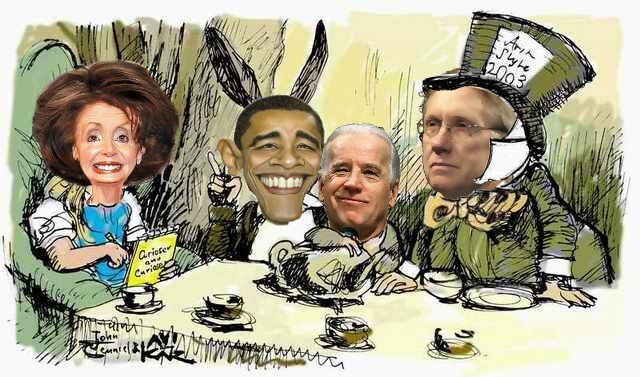 Ten Tax Facts for Tax Day Tea Parties..
President Barack Obama and the U.S. Congress have gone on a spending and debt spree that the country cannot afford. As a result, a spontaneous grassroots movement is emerging from every corner of the nation with a message for Congress and the president: Stop spending us into an inevitable spiral of debt and higher taxes … now! 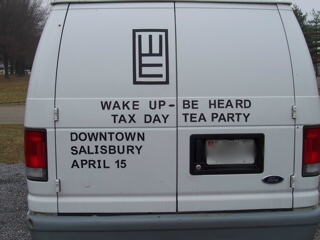 To that end, groups of Americans will be meeting in towns and cities across the nation on April 15 for “Tax Day Tea Parties” (think Boston Tea Party, not biscuits and fine English china). These “Ten Tax Facts” are our effort to make sure the American people are well- informed as they gather together to express their concern about the direction Washington is headed. #1 .Under the Obama budget, the Congressional Budget Office (CBO) projects that the national debt will double over the next five years; and it will triple over the next 10 years to $17.3 trillion. #2. Under the Obama budget, CBO projects that the national debt will soar over the next 10 years from 40 percent of GDP today to a shocking 82.4 percent. (Ronald Reagan left office with the national debt at 42 percent of GDP). #3. The president’s budget also states that total federal borrowing will grow by $2.7 trillion this year alone, an increase of 27 percent in one year! #4. The budget President Obama proposes for this year increases federal spending by an incredible 34 percent over the previous year, with a total of $4 trillion in federal spending, the highest ever. #5. The federal budget deficit (not the national debt) would reach $1.845 trillion this year, according to the CBO, the highest ever. That would be more than seven times Reagan’s largest budget deficit of $221 billion, which caused so much consternation among Reagan’s critics. #6. The CBO estimates that this Obama budget deficit will total an astounding 13.1 percent of GDP, more than one-eighth of the entire U.S. economy, for the federal budget deficit alone! Under George Bush, the federal deficit for 2008 was 3.2 percent of GDP. The deficit for fiscal year 2007, in the last budget adopted when Congress was controlled by Republican majorities, was $162 billion, or 1.2 percent of GDP. #7. The Obama budget also includes $1 trillion in tax increases on the upper 5 percent of income earners, mostly tax rate increases. But the top 5 percent of income earners already pays 60 percent of all income taxes. #8. The Obama budget projects that revenues from the corporate income tax will more than double in 3 years, increasing, in fact, by more than 124 percent. #9. Another $645 billion tax increase comes from President Obama’s anti-global warming cap and trade system, which is essentially an energy tax on the production and use of carbon energy, such as oil, natural gas, and coal. #10. While the Obama administration claims to have cut $2 trillion from the budget over 10 years, fully $1.5 trillion of those “cuts” actually represents the troop drawdown in Iraq, which was already scheduled to occur under the Bush administration. Of the remaining $500 billion in budget “savings,” fully $311 billion is categorized as “interest savings” but is actually an additional tax increase on upper income earners. It’s not as if you can’t stimulate economic growth while at the same time cutting government spending. President Reagan did it. Reagan adopted budget cuts soon after he entered office equal to close to 5 percent of the federal budget at the time. Even with his defense buildup, total federal spending declined from a high of 23.5 percent of GDP in 1983 to 21.3 percent in 1988 and 21.2 percent in 1989. That’s a 10 percent real reduction in the size of government relative to the economy. Reagan’s policies conquered inflation and started a 25-year period of economic growth, which would look awfully good today. Advertise your event with the people you know and trust you the most: your friends and family via email. Make your email short, personal and to the point. Ensure they know what you need from them and make sure it has perfect spelling and grammar. Provide them with guidance if they can't attend and that you need them to pass the email on the at least 10 or more people. If you have a website, provide details about what needs to be done. If you need somebody to post flyers, for example, let them know. You need to let people know what kind of help you need. Be specific in your needs and how long. Make a distribution list of people helping you. This is easy to do with most email applications. Email your contacts once a week with updates and keep it positive; don't kill them with emails... keep it to once a week. Keep them in the loop, they deserve it. Ask them for feedback. The best ideas will come from them and the majority of your success certainly will. You need to engage them and their vast array of talent. Identify those who are internet savvy. These folks can help your 'digital store front' be a success.... or not. There are many IT folks who can make big changes in the twenty first century and they're on your side. Engage them and use their talents. Get volunteers to identify local internet forums and chat rooms to advertise your event. Local colleges, papers and television outlets will sponsor political forums to advertise your event. Ensure you have a consistent, positive message. Never engage in negative conversations with those who oppose you. Always keep your message focused on the principles of our republic and freedom of speech and you will attain victory in 100% of your discussions.